A recent United Nations report warns that emissions are rising for the first time in four years. Scientists say to keep temperatures from rising above 1.5 C by 2030, governments need to take immediate action to reduce emissions. 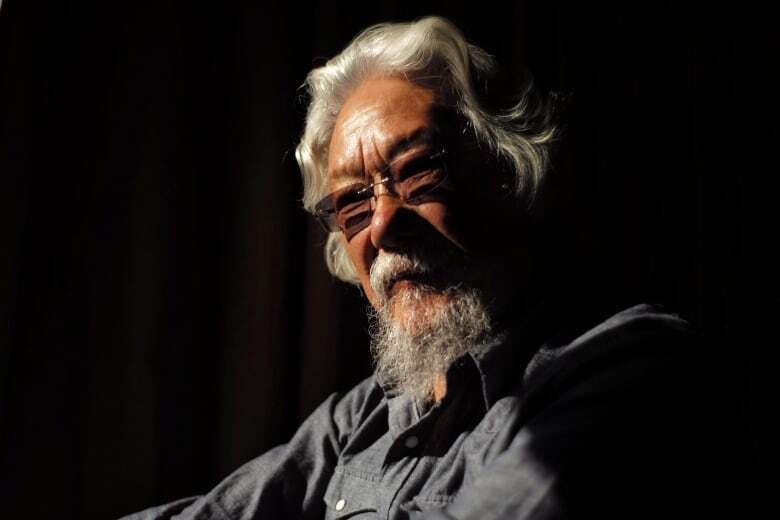 In light of the report, federal Environment Minister Catherine McKenna and environmental activist and scientist David Suzuki spoke separately with Stephen Quinn, host of CBC’s The Early Edition, about what Canada is and isn’t doing to mitigate climate change. McKenna weighed in first after declining Quinn’s offer to have Suzuki join her on air. Stephen Quinn: The UN report names Canada for falling short on its commitment to the targets from the Paris agreement. How does it feel to essentially be getting a failing grade? Catherine McKenna: We took a year to negotiate with provinces and territories and our emissions are going down while our economy is growing. We need to do more, of course, and we’re making historic investments in public transportation. We just announced a national plastic strategy for doubling the amount of nature we protect. To meet its emissions goals, Canada would need to fall to a maximum of 385 million tonnes a year. In 2016, we were almost twice that. There is no way we’re going to reach the goal by 2030. We’ve taken a significant number of measures. Some of the measures aren’t going to come into effect right away. Regulatory measures take some time. But the reality is, we need to meet our goal and we need to go further. New National Energy Board hearings are underway for the Trans Mountain pipeline expansion project. Ottawa has not only championed the project, but taxpayers own the pipeline now. Why continue to push through a project that would increase our emissions? This project fits within our climate plan. Alberta put a hard cap on emissions. They said they were phasing out coal. They put a price on pollution and when they announced their climate plan, which they knew would include one pipeline to get their resources to market, they had business leaders, environmentalists and Indigenous leaders there. The reality is this is a transition that is going to take decades. The U.N. report says we have to make significant changes within 12 years. That’s why we’re doing things like putting a price on pollution. That’s why we’re phasing out coal. But this transition doesn’t happen overnight. We are natural resource-based economy and we are diversifying, but people are still driving cars. We need to figure out how to grow our economy and how we can create incentives. The Liberals positioned themselves as climate change champions and won a majority government. Then you bought a pipeline and approved LNG in B.C. What do you say to people hoping for more than just words? We came in after a decade of a government that took no action on climate change. We’re re-doing environmental assessments to make sure that we’re looking at environmental impacts, including impacts on climate. We need to continuously work hard, at the same time being mindful that people need jobs. David Suzuki responded to McKenna’s comments from Oslo, Norway, where he’s attending a conference. Stephen Quinn: The minister says Canada’s economy is a resource economy. She says the transition is taking place, albeit slowly, but greenhouse gas emissions are coming down in Canada. David Suzuki: Ms. McKenna always acts as if the economy is something that has got to be her focus. We have to reduce by 45 per cent by 2030 and we have to be 100 per cent emission free by 2050. Those are the targets. Now stop playing politics. But do Canadians not worry about jobs and paycheques? Yes, but when Mr. Harper said for years and years that dealing with climate change is crazy economics, what he and Ms. McKenna seem to be doing is elevating the economy above the very atmosphere that gives us air to breathe; that gives us weather, climate and the seasons. Surely protecting that has got to be our highest priority. Reducing our emissions is a huge upheaval in the way that we live. Our whole energy sector will have to change. Of course there will be jobs, but they will be different kinds of jobs. The minister’s challenge is to make sure that we can transition people into that new type of economy. We heard from the minister that phasing out fossil fuels takes time if you don’t want it to to affect the economy adversely. I know you would like that to happen faster. So here’s the question: how did you get to Norway? Of course I flew. You know, I landed in Calgary, on my way to the University of Alberta to get my degree. And this guy came up to me as I was waiting for my luggage and said, “I hope you flew on a solar-powered airplane or otherwise you’re a hypocrite.” What is needed now is the infrastructure to make the transition. So you’re agreeing with the minister here that this is a transition that’s going to take time? Absolutely. It’s not going to happen overnight. The question though is, what are we going to do in this 12-year period the IPCC [Intergovernmental Panel on Climate Change] has given us? These interviews aired on The Early Edition on Nov. 30 and have been edited for clarity and structure.